The Football Referee Cards are bright fluorescent cardboard cards. Cards are supplied in a handy pouch. 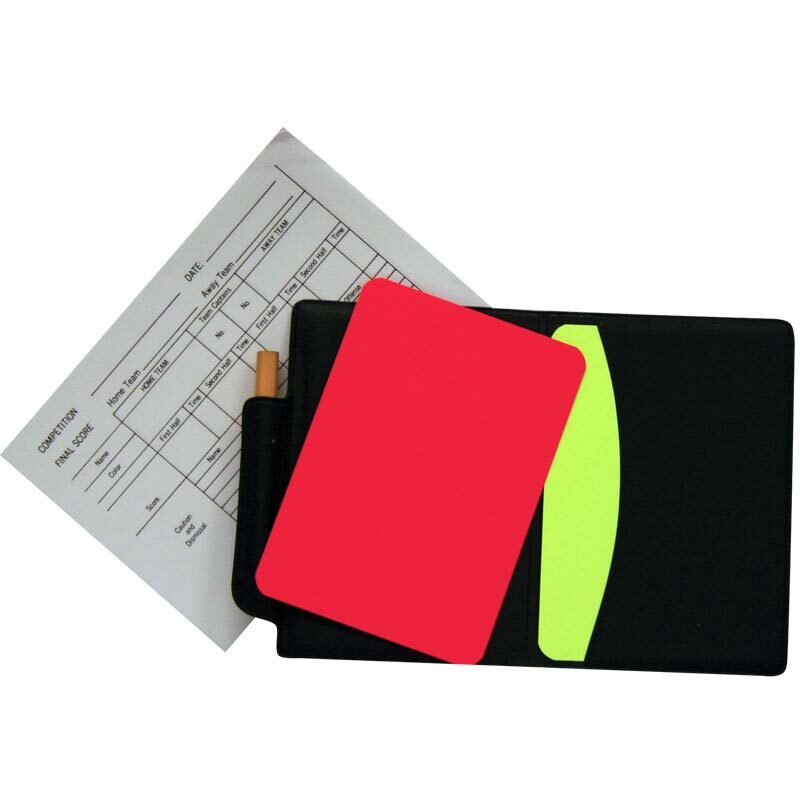 Two coloured, fluorescent cards in a black plastic wallet complete with 24 page referee report pad and pencil. Great product, does every bit the job it was bought to do. Very good quality, only small reckomendation for improvement is to sell the paper form without needing to purchase the wallet and cards but not a big issue as overal product is cheap enough. This product does the job and is great value for money. I'll be purchasing again later this year! Delivery time was also very good. A very good value product by Ziland. Well made and at a very good price. As always great customer service from Newitts.